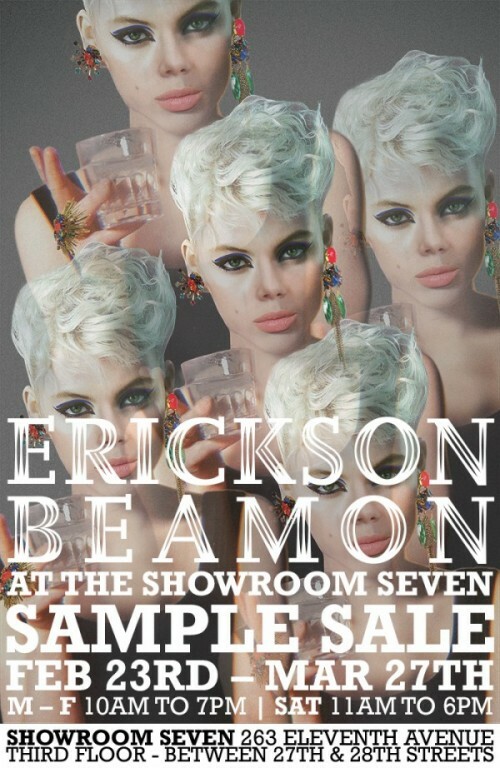 From February 23rd – March 27th, stop by Showroom Seven for great deals on top fashion brands including L.A.M.B., Pia Pauro, Erickson Beamon, Erin Dana, Issa London, PatBo, Liebeskind, Lisa Freede, Charlotte Ronson, Pier Antonio Gaspari, and many more. The Hours are Monday through Friday from 10am to 7pm, and Saturday from 11am to 6pm. They’re closed on Sunday – even shopping needs a day of rest. Go to Showroom Seven, 263 Eleventh Avenue on the Third Floor (between 27th and 28th Streets) and see what cool new styles you can find.